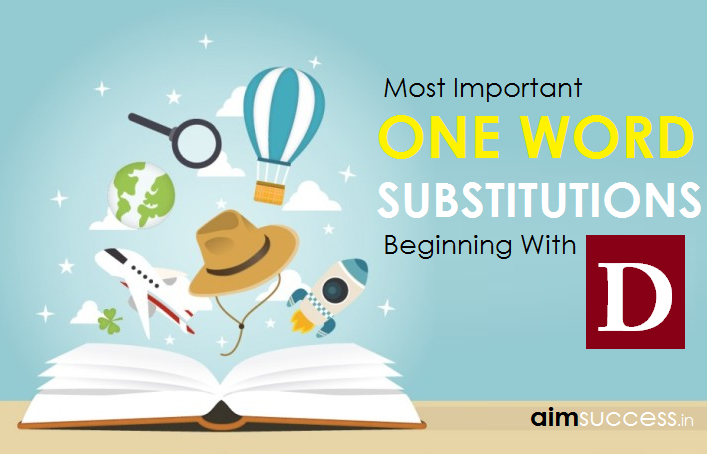 Most Important One word substitution is one of the most important part of English section in SSC & Other Competitive Exams. In order to make it easy for all the aspirants,we have started our series named 'Master English ' in which we have already posted Idioms & Phrases. We are starting with One Word Substitution now. Go through the article and let us know if it is helpful for you. We also welcome your suggestions regarding our series Master English. Meaning in English:Act or art of rhetorical exercise. Meaning in English:That which can be effaced or blotted out. Meaning in English:a stroke with a hand or weapon that causes death. Meaning in English:Person who owes money to somebody. Meaning in English:Speak critically of somebody or something to make him seems less valuable. Meaning in English:Situation in which one has to choose between two things or courses of action. Meaning in English:Lack of the necessaries of life. Meaning in English:Mental illness caused by illness. Meaning in English:Belief in the existence of god that is based more on faith than on religious teaching.